How We Roll, Dec. 8: how dare those Ohioans and Parisians mock our traffic! Programming note: today’s How We Roll comes to you from southwestern Ohio, i.e. the Cincinnati ‘burbs, where I’m back again dealing with some parental health issues. FWIW, after years of listening to Cincy folks mock L.A. traffic I declare once again that suburban Cincy traffic is every bit as sucky, albeit on a smaller scale, thanks to unchecked suburban sprawl over the six county area, with the counties not really coordinating their various planning efforts (a generous term in some of them. Sound familiar, Southern Californians? Also, I saw my first ramp meter ever today in the Cincy area. Progress? I do not believe so. 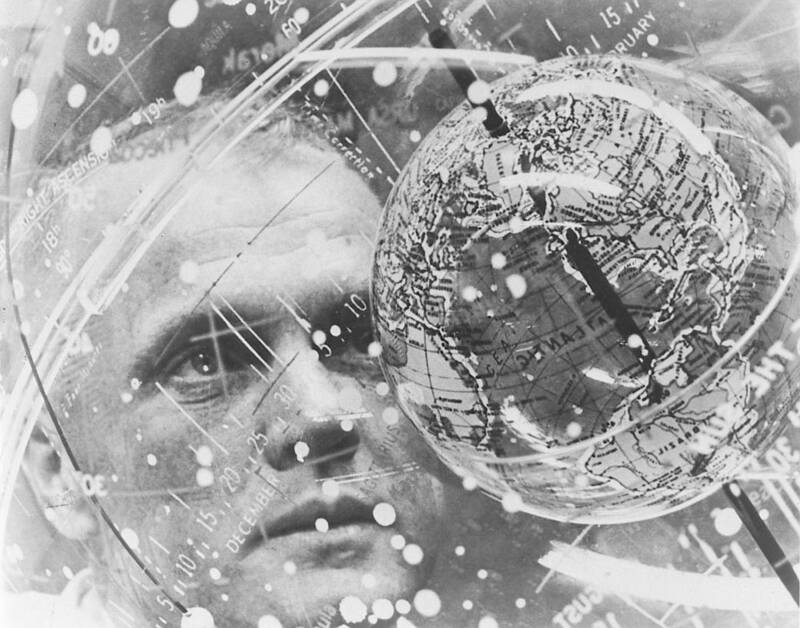 In February 1962, Astronaut John H. Glenn Jr. looks into a globe, technically the “Celestial Training Device” at the Aeromedical Laboratory at Cape Canaveral, Florida. Glenn became the first American to orbit Earth that same month. Image Credit: NASA. What an amazing photo of a true American hero (and native Ohioan! ), John Glenn, who passed away today at age 95. Senator Glenn was the first American to orbit Earth in space — in Friendship 7 in 1962 — a year after two Yuri A. Gagarin and Gherman S. Titov had done it. This was back in the day, of course, when you couldn’t assume what went up would come down. The NYT obit is here and is a fine remembrance that you can digest during your more earthly travels. Things to look at whilst transiting: Climate Change in Focus, a photo gallery on the National Geographic site. Some tough, strong images about the impacts of global warming. Wanna do something about it? Try taking transit, walking or biking instead of driving alone. More about that here. 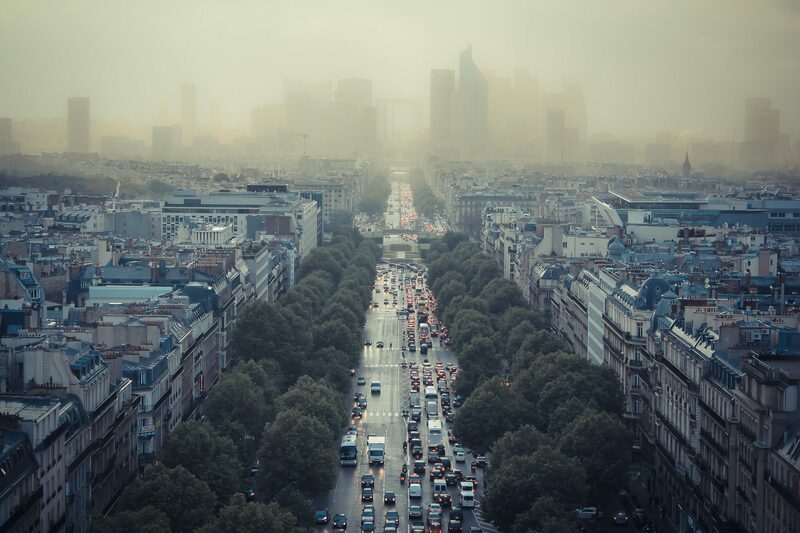 A pic of Paris smog circa 2013. Photo by Damian Bakarcic, via Flickr creative commons. With its famous Eiffel Tower shrouded in a greyish haze and some Asian tourists donning face masks, the city also made all public transport, residential parking and the Velib’ bicycle and Autolib’ electric car schemes free. Remember, too, Paris has a pretty extensive transit system to go along with its car traffic and sprawl. That said, the metro area is making some efforts to curb the smog, primarily by only allowing half the private cars to be driven on some days and a somewhat aggressive area to get older, dirtier cars off the road. 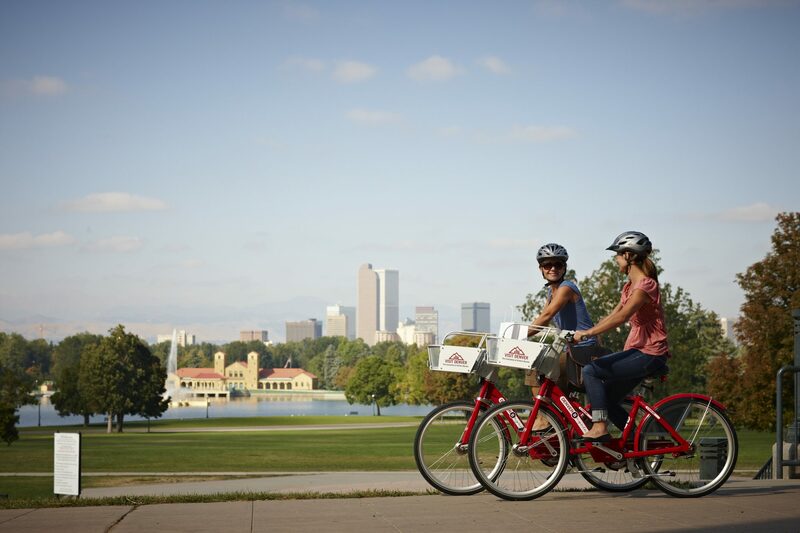 Bike share in Denver, one of the early adopters in the U.S. Credit: Denver B-cycle. The answer: yep. While it’s hard to lump different systems in different cities together, Outside says there is some evidence in a scattering of studies that suggests bike share can help improve public health and mobility. Metro’s bike share system opened in DTLA last summer and is on its way to Pasadena, Venice and the Port of L.A.
Credit: City of Long Beach. The city of Long Beach wanted to completely redo its aging (and Blue Line proximate) Civic Center — but without having to lean on taxpayers to approve a new bond measure. 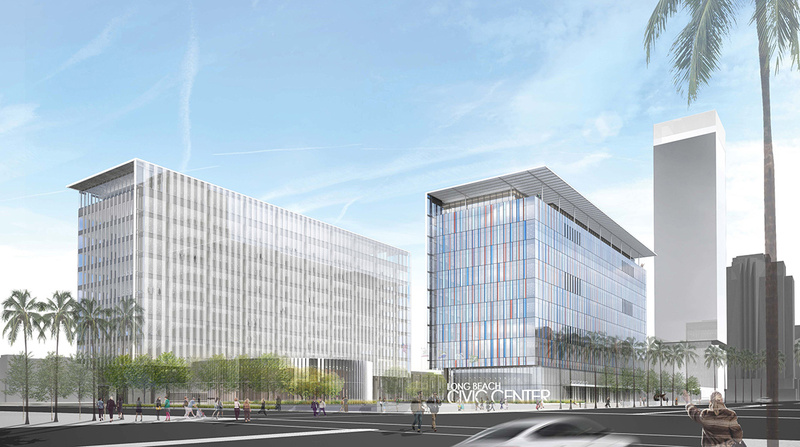 In the end, the city inked a public private partnership (P3) with a firm that will design, build and maintain the new civic center campus for 40 years at an annual cost the city can actually afford. Relevant here because Metro’s innovation office is examining several such proposals that it has received for P3 deals to build and accelerate some large projects, among them the Sepulveda Pass Transit Corridor. Especially relevant because Metro needed Measure M to be approved to have the funds necessary to pull the trigger on any such deal. Stay tuned! The lot that has been empty for eons in DTCC — the one between the Culver Hotel and the Trader Joes/parking garage — but a office space and retail project looks to be moving forward, reports Urbanize. Salient here because it’s a relatively shortish walk to the nearby Expo Line station and the empty lot is both an eyesore and dumb use of land near transit, housing and eating/shopping. Other things to read whilst transiting: I’m only 50 pages in but thus far “North Water” by Ian McGuire is a pretty great read if you’re intrigued by the “tale of an opium-addicted 19th-century Irish surgeon who encounters a vicious psychopath on board an Arctic-bound whaling ship.” That’s how the NYT described the plot in their “10 best books of 2016,” thus tickling my interest. For those reading on tablets on transit: don’t make those words too large as some of them are of the extremely naughty variety. Mental illness, reports LAT transportation reporter Laura Nelson. Hopefully he will get some help and, thankfully, no one got hurt. Federal investigators determined that the warning of a bombing called in on a tip line in Australia was not a credible threat. Law enforcement officials suspect the anonymous caller may have previously made threats that did not materialize, according to the FBI. Investigators were working to identify the anonymous caller and FBI officials noted that those who provide false threats to police face prosecution. Obviously, the threat was reported to the press before it was verified. As for the suspicious item that closed the 210 and Gold Line on Wednesday…it was found next to the HOV lane and near the Lake Station. It was, thankfully, not an explosive. 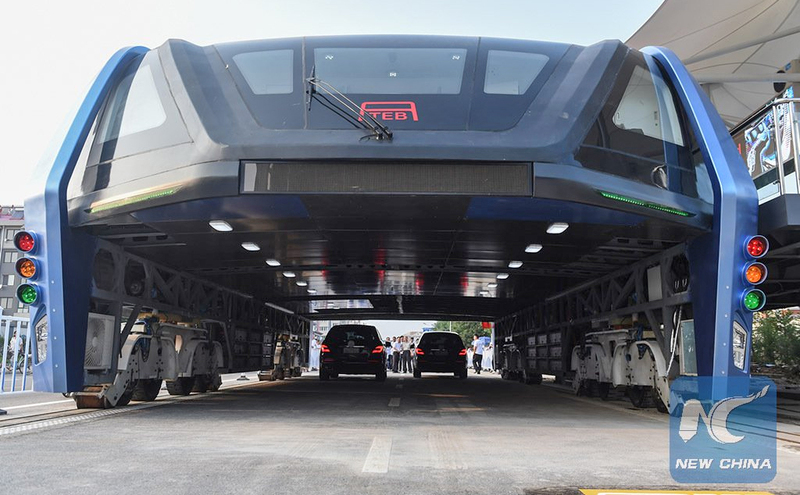 Because we know that motorists across the world would have exhibited only impeccable driving behavior around this behemoth. Think of how much more higher Naked Man on Straddling Bus would be! He may very well have already been high on something.